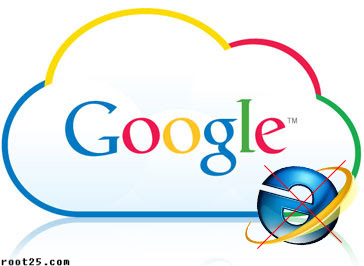 Google will drop support for Microsoft's Internet Explorer 8 (IE8) for its online apps and services in mid-November, effectively ending support for many users of Windows XP. "As we announced last year, we support the latest version of Google Chrome (which automatically updates whenever it detects that a new version of the browser is available) as well as the current and prior major release of Firefox, Internet Explorer and Safari on a rolling basis. Each time a new version of one of these browsers is released, we begin supporting the update and stop supporting the third-oldest version. Internet Explorer 10 launches on 10/26/2012, and as a result, we will discontinue support for Internet Explorer 8 shortly afterwards, on 11/15/2012. After this date users accessing Google Apps services using Internet Explorer 8 will see a message recommending that they upgrade their browser."